Rowland commenced correspondence studies with a view to the ministry, and then resigned from his position as Senior Account Executive with a large firm of international insurance brokers. He holds the BA and Hons BTh degrees from the University of South Africa, and the Diploma of the Free Church of Scotland College, Edinburgh (which he attended 1972-75). In 1994 he was awarded the degree ThD from the Australian College of Theology, Sydney for his dissertation on “Divisions and Unions in Australian Presbyterianism 1823-1901 with Special Reference to the Church’s Attitude to its Creed”. 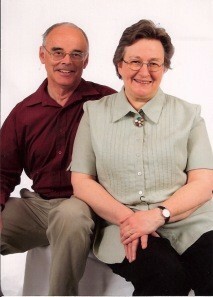 Rowland commenced his ministry at Ulverstone, Tasmania PCEA in October 1975, and was ordained 16 March 1976. He moved to Melbourne in August 1981 to care for the tragically divided congregation then at East St Kilda. He was inducted in June 1984 and the work has since been entirely reorganised. The old property was sold and several centres have since been established: Knox, Wantirna (1987), Narre Warren (1990), All Nations, Mulgrave (2008) and Carrum Downs (2010). He has lectured in a number of countries and written numerous books, articles and book reviews. Rowland retired 30 June 2012 but preaches most weekends. Since 2013 he has been Convener of the Regional Conferences Committee of the International Conference of Reformed Churches. In July 2016 at short notice, Rowland commenced as Adjunct Lecturer in Church History at the Presbyterian Theological College Melbourne of the Presbyterian Church of Victoria and enjoys this opportunity of service. Rowland married Anna Hilliard in 1972. Anna was born in Belfast and raised in Scotland, joining the Free Church of Scotland before coming to Australia in 1970. Her father was an early minister of the Elim Pentecostal Churches (commenced 1928), a quiet and gentle man who was much loved. He was elected President of the Elim movement in 1964. Anna and Rowland have five adult children and seven grandchildren.